We fly in a continually changing environment. Everything about our job as pilots is dynamic: weather, traffic, air traffic control and even the aircraft itself—all of this demands that we have the best and most up to date data available so that we can do our job as pilots safely and efficiently. Information is power in every field of endeavor; in flying, having the right information is a powerful aid to flying efficiently and safely. One of the elements about flying that changes all the time is the airports we operate from and the airspace that we fly through. Just take a look at a list of NOTAMS—there are always new one to examine. The schedule of changes to enroute charts and VFR charts, including obstacle information, occurs on a 28 day cycle under an ICAO program known as AIRAC—the Aeronautical Information Regulation and Control system. Remember the “good old days” of updating your paper charts? The AIRAC schedule is what drives all of those changes. Information about AIRAC can be found in their official site. At Air Navigation Pro, we understand your need to have the most up-to-date information; we know that our first job is to help you getting from point A to point B. In order to make sure that you are equipped with all of the navigation information that you need, we have increased our staff of analysts to make sure that the database information you rely on isn’t just good—it’s highly accurate. Even as we have redoubled our efforts, the costs of obtaining global navigation information have increased. In view of this fact, we now offer a two-tiered approach to navigation information for our Air Navigation Pro subscribers. If you’ve been using Air Navigation Pro, you’re accustomed to the aeronautical database information being supplied free of charge. This will continue to be true, but with the free database you will only have an update once per year. This is enough to get you started with Air Navigation Pro, but it doesn’t allow you to take advantage of the powerful information updates that the app is capable of supplying. Once you install Air Navigation Pro, you’ll receive a reminder within the app once the database no longer represents the most current information available. If the aeronautical database is up to date, that message will show as well when you select map options. Our new subscription database allows you to take advantage of the powerful information updates that Air Navigation Pro is capable of supplying. Subscribers will get the most up to date aeronautical information from AIRAC's 28-day cycle that will be downloaded to your Air Navigation Pro equipped devices every cycle. Over 200,000 waypoints inclluding: Aerodromes, Reporting Points, Helipads, Sea Plane Bases, Glider POrts, Balloon Ports, IFR Waypoints, DMEs, NDBs, VORs, VORTACs, TACANs, VOR/DMEs. More than 50,000 airspaces containing classes A, B, C, D, E, F, G, Danger Area, Restriced Area, Forbidden Areas, Glider Areas, Glider Prohibited area, CTR, TMZ, TSA, TRA, MATZ, Recreational Area, and Natural Reserves. For the professionals using Air Navigation Pro’s Cloud service to manage a group of pilots, you are able to subscribe to the database for all of your members—No more worrying about whether your pilots have received the most recent critical navigation updates or not. Airport Magnetic Variation - know the accuracy of your directional instrumentation before you ever leave the ramp without consulting cumbersome charts. Runway Analysis Data, including TODA/ASDA/LDA - there is no need to consult other airport charts or to guess about aircraft performance. The exact numbers you need are available at with the simple tap on the screen. Weight bearing Capacity - know if you can use a runway at a glance. Lighting - knowing what you'll see when you break out a minimum is a big part of easing the transition from instrument to visual flight and ensuring that you've identified the landing surface. With a tap of the screen, you'll have the information you need to plan ahead. ILS frequency and identification - pre-plan your approach in advance. Detailed Fuel Availability information - using your database subscription service, you'll know what fuel and oil are available, right down to the number and capacities of the fuel trucks. Ramp, Parking and Hanger availability - parking facilities and hanger information are all available through our database service. ATIS/AIS availability and hours of operation - At some airports, ATIS/AIS information isn't available for 24 hours. Know what to expect before you ever leave the ground. Important Local Notes about Operations and Airport specific restrictions - every airport is different. Using this information, you'll have access to information that might only be know to local pilots. With a tap on the screen, you’ll have the information you need to plan ahead. Air Navigation Pro’s aeronautical database subscription service aims to give you the most convenient flying experience possible by giving you key insights and up to date information to the very best airports and airspace databases worldwide. The aeronautical database subscription service can be purchased through the online store or within the app at €19.90. 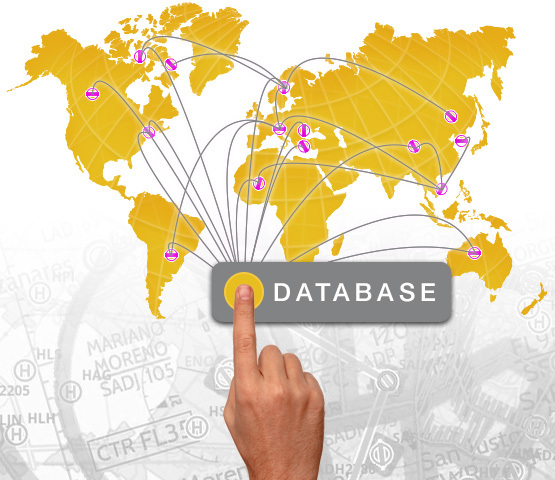 For more information about Air Navigations Pro’s database, visit our database page.